LuLu Kachoo is a bespoke luxury jeweller based in London. They start with a one on one design consultation to understand exactly what you want and then create a design to fit the brief and budget. They can either design a piece from scratch or redesign an old and tired piece of jewellery. LuLu Kachoo was founded by an old friend of mine Louisa who is from a family of jewelers and so has been (lucky enough) to be surrounded by jewels her whole life. After leaving her job and meeting her husband she followed her dream and launched LuLu Kachoo. One of my best friends has got the Hepburn and it's absolutely stunning - if LuLu was doing her thing when i got engaged i would definitely have got my engagement ring from her they are stunning! WHY WAS IT CREATED: I've always had a passion for jewellery ever since I was at school. I would carry around my jewellery box at the age of 10 to see if anyone wanted to buy my gemstones. My mother is a Jewellery designer too and she has been a huge influence. After university I followed my passion and worked in various jewellery shops on Bond street and Burlington Arcade but after a few years I took a de-tour and left the jewellery industry for finance until I met my husband who supported me in following my dream. The luxury jewellery industry is dominated by more old fashioned brands, we wanted to create something contemporary, cool, colourful and classy.. Our own 4 C's! We take great inspiration from Graff and Faberge and aim to build a design around exquisite stones that showcases their brilliance and unique characteristics. I also love the way in which some old name fashion brands are recreating themselves: Fendi, Balmain, Saint Laurent, Moncler. They are all taking an established brand and going in a more contemporary direction. WHAT WE NEED TO KNOW ABOUT YOUR BRAND: Lulu Kachoo is a bespoke luxury jeweller based in London. We specialise in colourful designs centred around the finest gemstones and crafted by highly talented and experienced craftsmen. We are young, fun and luxurious. WHAT WE SHOULD BUY FROM YOU: Yellow sapphires. The Sunburst and The Coco are great examples of making a beautiful piece of jewellery with a yellow sapphire. Yellow sapphires are extremely rare, they are in fact more rare than diamonds so not only are incredibly beautiful, they are also a great investment piece. Wanderlust Life make simple, subtle, chic, colourful jewellery. The pieces are delicate but cool - the colours are bold and bright, the designs are minimal but their impact is strong. Inspired by her travels and desire to work for herself Georgie makes necklaces, bracelets, rings and earrings using semi precious and birth stones. WHY WAS IT CREATED: It sounds cliched the but the idea to begin Wanderlust Life was brought to life on a small deserted beach in Mexico! I have a design based background, and have worked for artists, art galleries and in advertising but never felt content working for other people…I’ve always wanted to be my own girl boss! It was always my dream to work for myself, and as I began to think about I wanted to submerge myself in, travel, beautiful things & good design came out on top! It was my own wanderlust that became the inspiration and idea for the label and I began sourcing stones and jewels from my travels over the world to use in my designs. I also wanted to have the flexibility of incorporating travel into my everyday lifestyle. In previous jobs working 9-5 Monday to Friday (for that one or 2 week holiday at the end of the year) left me feeling uninspired. Although I now work harder than i ever have done before, its beautifully rewarding and I’m in the driving seat of my own life (and do my best to squeeze in some trips away as often as I can!). We sell a collection of understated and minimal jewellery, made by hand in our studio by the sea in Devon. Each piece is very much inspired by the world and travel. 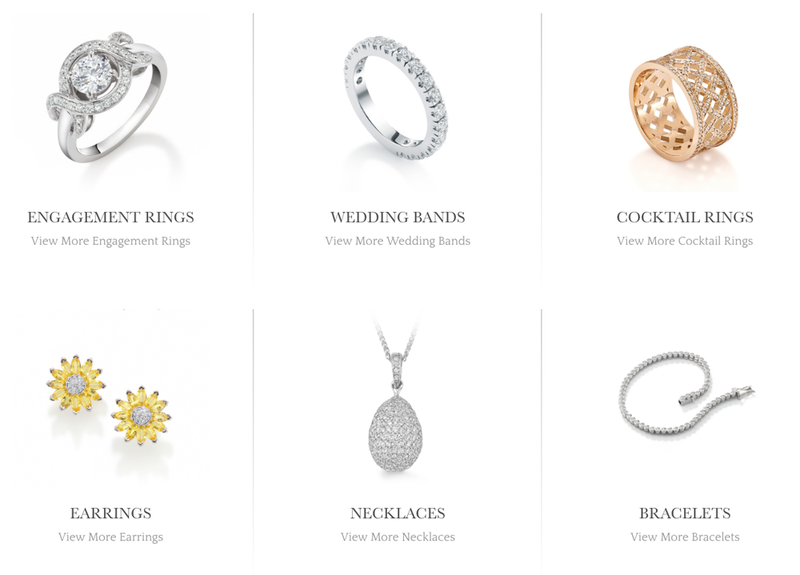 We have an online store where you can buy the full collection of jewellery. We sell a range of necklaces, earrings, bracelets and just recently we’ve released a new collection that includes a small selection of hand sculpted rings. Our signature style includes faceted semi precious gemstones and the name and the stones properties are inscribed on the display card & packaging. We also sell birthstone necklaces that prove to be really popular & find that ladies love to buy their baby birthstone necklaces too - a nice gift idea for a new mum!